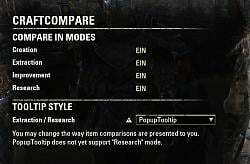 Please note : This addon is an updated version of CraftCompare, feel free to ask feature in comments ! 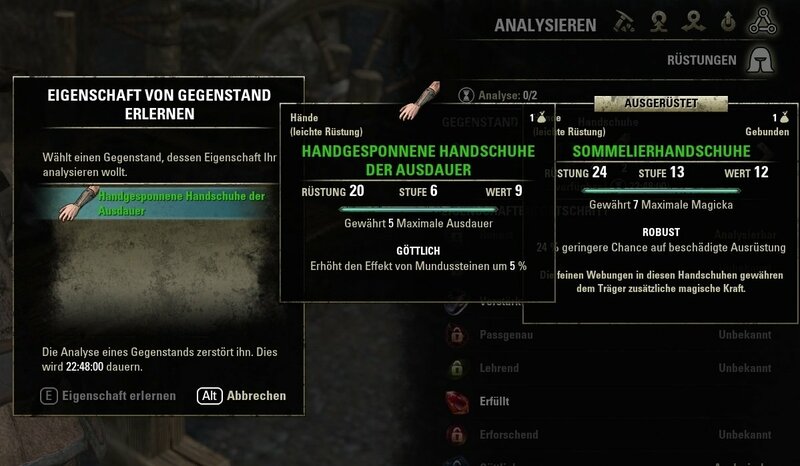 You can compare to your alternate weapon set by holding down the SHIFT button. Releasing the SHIFT button will show your primary weapon set again. Otherwise, comparisons are always against your active equipment. By default, comparisons will be displayed within the game's PopupTooltip. This tooltip is created by the default UI and can be moved and closed. If there is more than one item that has to be compared against (e.g. 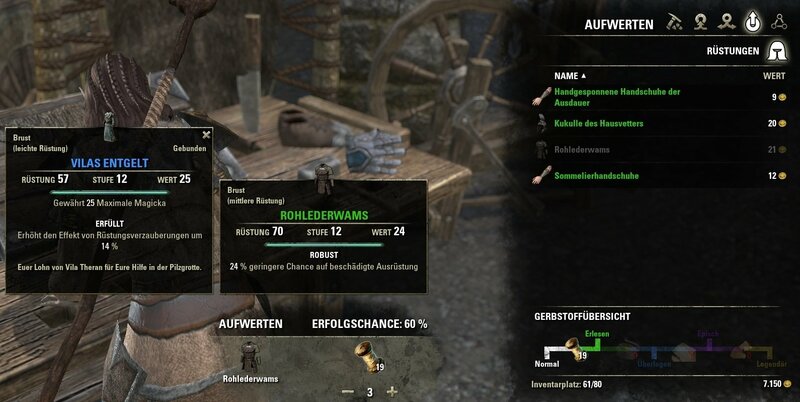 when crafting a 2h-weapon while wearing sword and shield), the second item will be displayed in a custom tooltip so both relevant items are visible. You may also choose to display comparisons using ComparativeTooltips that are also used by the default UI. 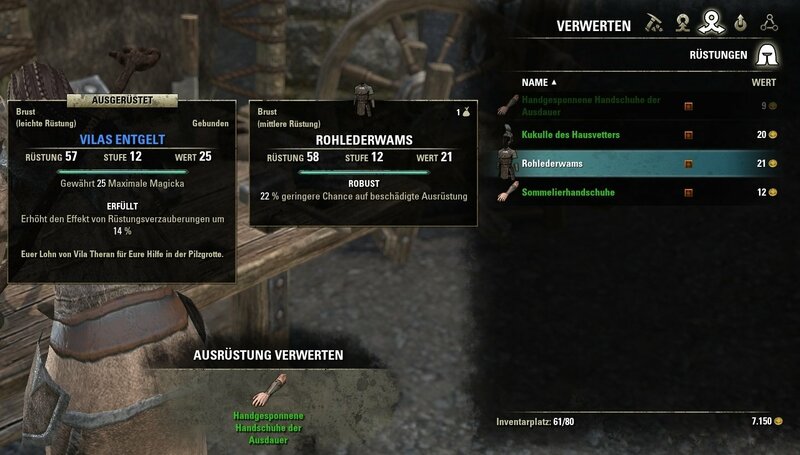 These tooltips will only be shown while you hover an equipment item in your inventory and are therefore not available in Creation and Improvement modes. !Comparative tooltips could be still buggy, not checked yet! 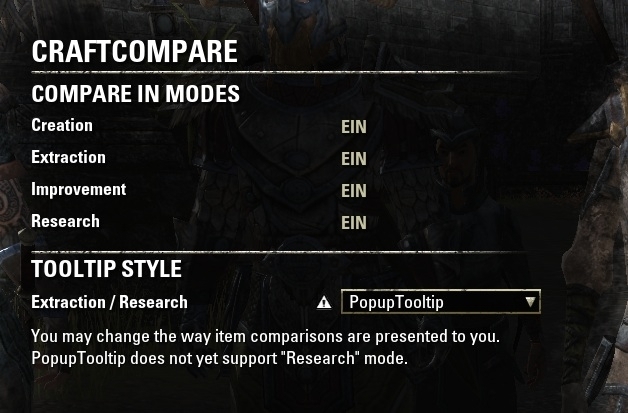 Attention: The comparative tooltip was not tested yet, only the PopupTooltip was. Last edited by Baertram : 09/29/18 at 08:46 PM. This addon still ok to use in latest IC update? WIP. Must admit that previous comments from garkin was chineese for me. It's bit better now. and this addon looks really ugly in it's code. so cleaning it first. Last edited by Ayantir : 04/09/15 at 11:05 AM. Your addon conflicts somehow with FCOItemSaver's ZO_Hook calls to ZO_Smithing function SetState() and ZO_Enchanting function SetEnchantingState(). My hooks won't be called anymore if I enable your addon. And the directory name of your libAddonMenu-2.0 is wrong: libAddonMenu-2. There is missing the ".0" at the end. First is the same as was reported by xambrian - CraftCompare uses PopupTooltip:SetLink(itemLink) directly, so there is not defined PopupTooltip.lastLink. It causes UI errors with other addons if they depends on this value (for example Shopkeeper 1.0 Classic). Easy fix is using ZO_PopupTooltip_SetLink(itemLink) / ZO_PopupTooltip_Hide() or adding line tooltip.lastLink = itemLink after each use of tooltip:SetLink(itemLink) and tooltip.lastLink = nil after each use of ClearTooltip(tooltip). ZO_PlayShowAnimationOnComparisonTooltip(tooltip) - creates fade-in animation. Sets alpha to 0 and when animation finishes, alpha is 1. ZO_PlayHideAnimationOnComparisonTooltip(tooltip) - plays fade-in animation backwards. I'd try to disable second pair of functions, it will probably help. Conflicts with ddShopkeeper ... ? it seems CraftCompare conflicts with ddShopkeeper. Maybe you'd have a look at it?